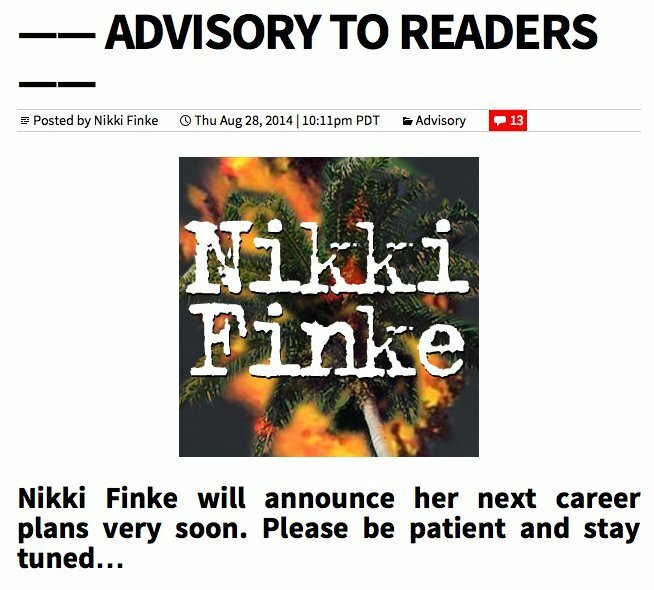 We knew Nikki Finke was back, but now she's really, really back. The former editor-in-chief of Deadline.com has a new book deal with Simon & Schuster, the New York Times reported Friday. The focus, unsurprisingly, will be about Hollywood. But that's not all. The Times also suggested that Finke could be in talks to work with her old boss again, Jay Penske, who bought her website Deadline in 2009. Finke founded Deadline in 2006, but sold it to Penske Media after a series of nasty feuds that began when Penske bought Variety. Finke, responsible for breaking some of Hollywood's biggest stories and known for being feared by the entertainment industry, has been quiet as of late due to the public dispute. In June, she came out of her silence when she launched her new website, NikkiFinke.com. And now she and Penske are talking again, sources told the Times, largely because of an anonymous website that went up this week exposing private information about Finke. The website's creators have since declared that they are done, but it brought Finke closer to her enemy, which means we could be hearing more from her very, very soon. UPDATE (2:04 PM): NikkiFinke.com is no longer running. BuzzFeed's Kate Aurthur also noted that Finke has deleted most of her tweets since May 14.